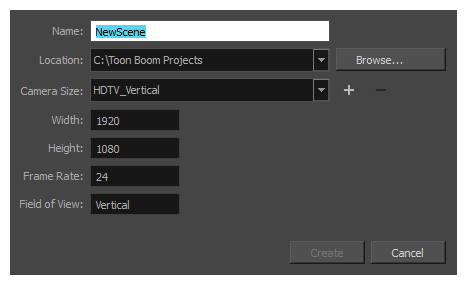 From the top menu, select File > New. Press Ctrl + N (Windows/Linux) or ⌘ + N (macOS). 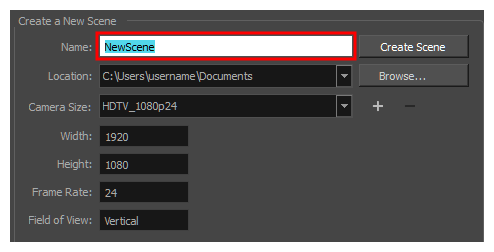 NOTEThe scene name cannot exceed 23 characters and cannot contain special characters, such as *&^%!.